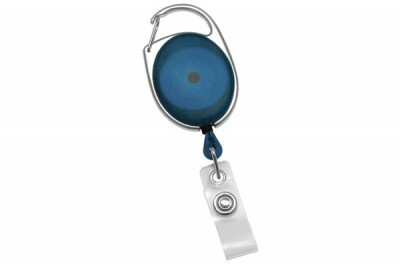 This premier carabiner badge reel with clear vinyl strap is great for a quick-paced work environment. 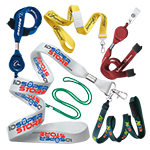 The carabiner badge reel is conveniently secured to clothing, a badge, or keychain via its press and release latch. 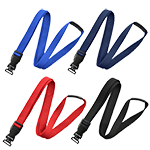 It is finished with a clear vinyl strap for slotted ID badge or access card attachments. 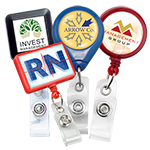 This carabiner badge reel with clear vinyl strap is also available in a variety of translucent colors. Our employees love these. 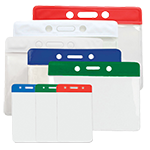 Make carrying key cards and identification badges really convenient. This is best paired with proximity badges. 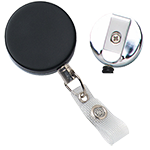 Users can just pull their badges and scan them without removing them from their holder. They look good and work very well. Very pleased! 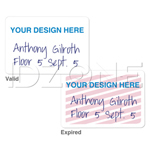 Our building switched to access cards so all our ID badges were changed. This makes swiping access cards really convenient.